Namibia travel photos — Hey Brian? I first heard of Namibia all the way up in Eritrea. Word travels fast on the well trodden Cairo to Cape Town overland route, and Namibia was making gleaming headlines 4000 miles to the north. Stories of the bazaar and beautiful Namibian landscape was the norm. 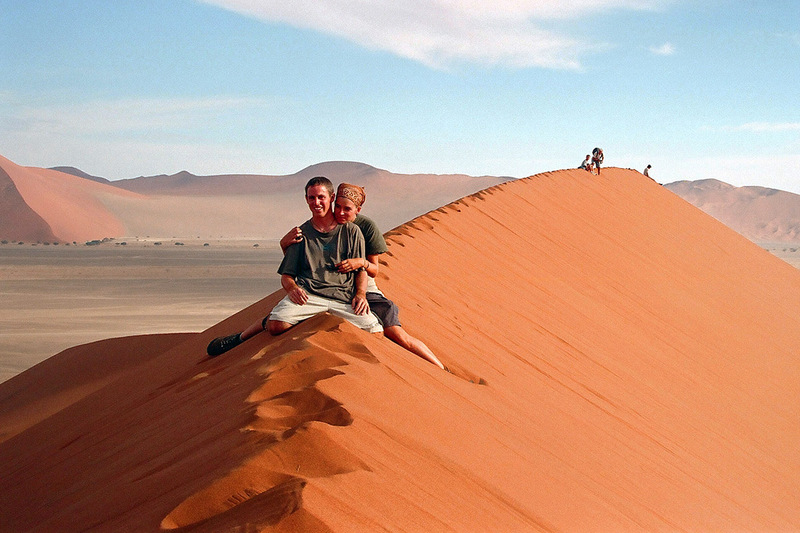 On the “must see” list were the world famous orange dunes of Sossusvlei. 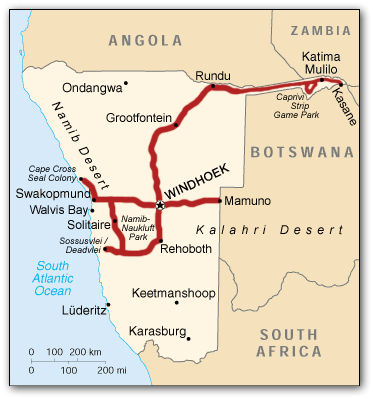 In addition, it was rumored that the Etosha pan National park, Namiba’s foremost gamepark, was teeming with rhinos, elephants, giraffes, and any animal one could dig out of a safari book. 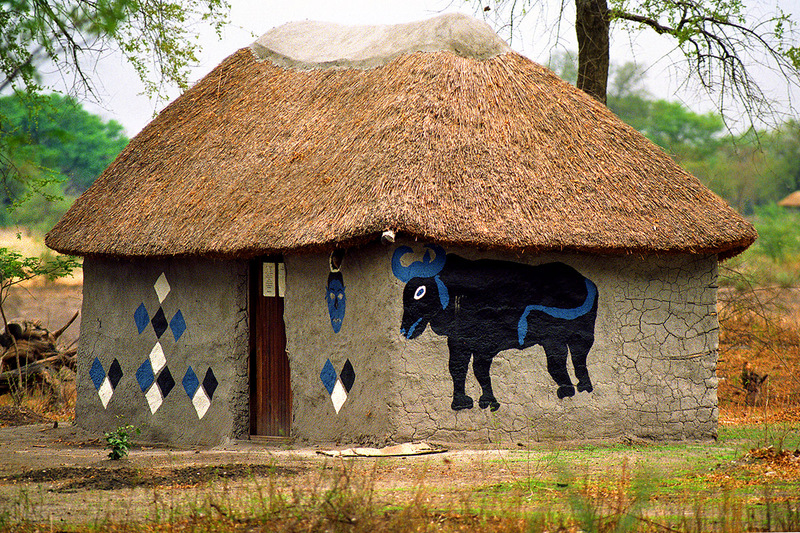 More adventurous travelers were speaking of the Caprivi strip and tracking the Himbas on the Namibian- Angolan border. All in all, it looked like something that couldn’t be missed. This is how I made the decision to include Namibia in my travels heading south through the 12,000 miles of bumpy road that formed my Cairo to Cape Town trip. Windhoek, Namibia’s modern and shining capital offers many people their first glimpse of this amazing country. Windhoek is a surprising contrast to many other African capitals.